The Electro Mechanical Division and the Enterprise Business Division came together to collaborate as a new division - ‘Enterprise & Electro Mechanical Division’ to serve the people better and to bring together committment, excellence, performance and delivery under one roof. The Enterprise Business offers products and turn-key solutions by working closely with the following world renowned manufacturers. 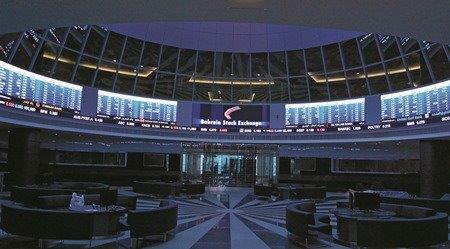 The largest indoor ﬁnancial display with all hardware and software to integrate to the trading engine of Bahrain Bourse to display online ﬁnancial data installed at Bahrain Financial Harbour. 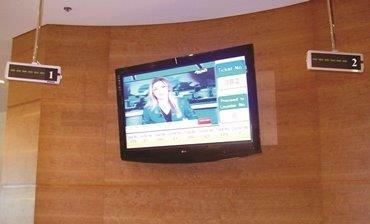 This turnkey project involved design mock up preparation, product installation and end user training. 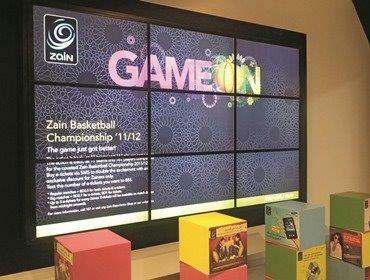 A 3x3 videowall based on Samsung 460UXN installed for Zain Bahrain at Seef Mall. This turnkey project covered all mechanics, cladding, software installation and training for the client to operate the system. 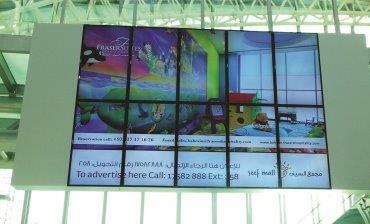 A 5x2 video wall for the New Seef Extension with Samsung’s ME series Large Format Display’s designed and commissioned to prominently display information and advertisements to visitors in an organized manner from a central location. The project involved creating the mechanical structure design to install the product to the Bridge along with all electrical and ﬁber networking for power and connectivity. The Electro Mechanical Business is a comprehensive supplier of electro mechanical products for the building construction, infrastructure and maintenance sector. 1. 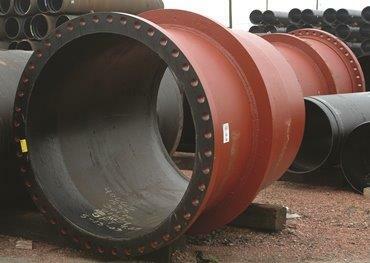 US PIPE: We are the exclusive agent for US PIPE & FOUNDRY for their complete range of Ductile Iron Pipe and Fittings along with other product for the water and wastewater industries. U.S. 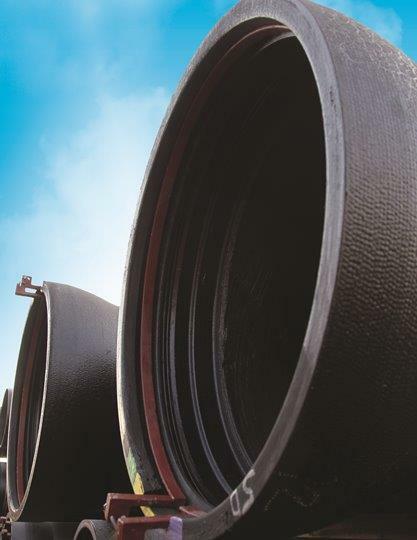 Pipe was one of the ﬁrst manufacturers to embrace ductile iron pipe technology in the mid-1960s, and it is now the industry standard for water and wastewater systems. 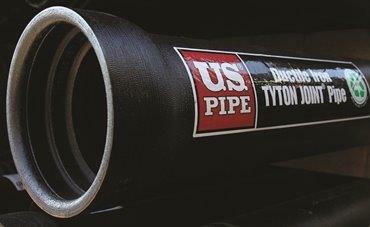 Nearly ﬁve decades of research and development have led to signiﬁcant improvements, including our exclusive line of TYTON JOINT®, TR FLEX® and USIFLEX® pipe products. 2. DOHA CABLES: The manufacturing facility for power cables and wires was established in 2010 , with a production capacity of 40,000 ton of copper per annum and a total area of 70,000 Sq. meter in the heart of Mesaieed Industrial City, Qatar. 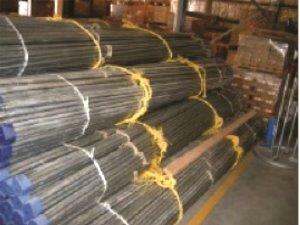 Doha Cables products are approved by EDD / EWA for general use in construction site. 3. 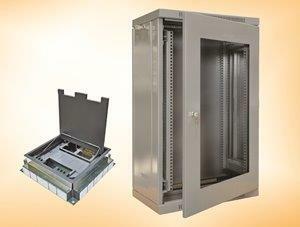 DECODUCT Cable Management System (with Diamond Mark certiﬁcate from ASTA BEAB of UK conﬁrming their compliance with the relevant BSEN standard) includes conduits, trunking, accessories, industrial cable management system in PVC & metal (manufactured in Gulf) to meet the speciﬁcation as well as International speciﬁcation. DECODUCT LSF Cable Management System meets all the mechanical and physical properties of rigid CMS and in any event of ﬁre, the emissions of the smoke and fumes are within safety levels and much lower than the normal rigid CMS. 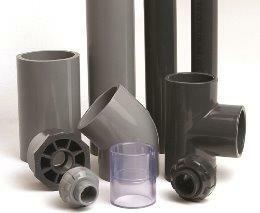 All DECODUCT products are approved by EWA / EDD for general use in construction projects. 4. REXTON TECHNOLOGIES, UK: A deep commitment to quality can be seen in everything on offer, be it their products or services. Armed with a dedicated team of experts and professionals, they have been successful in maintaining strong bonds with their clients all over the world. AABH are the exclusive distributors of REXTON products for the Kingdom of Bahrain. 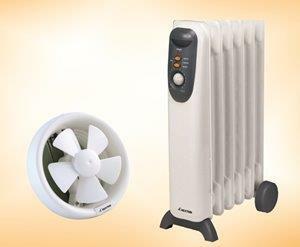 A commercial range of Rexton fans, heaters, PVC conduits, cable trays, ladders, electrical accessories, etc. 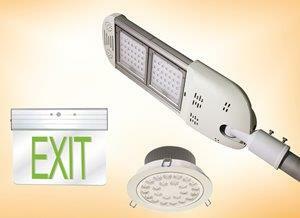 are available in over 200 electrical outlets in Bahrain. 5. Gerard Lighting’s ﬂag ship brand PIERLITE in Australia is recognized for design, manufacturing and distribution of architectural, industrial – commercial lighting system. 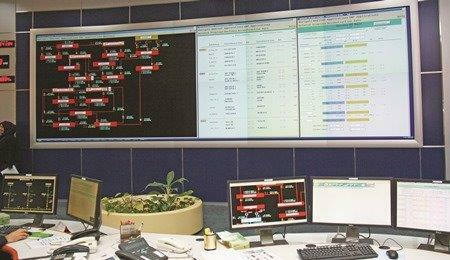 Aided with a manufacturing and warehouse in UAE, it’s strategic vision is to continue expanding this global network. 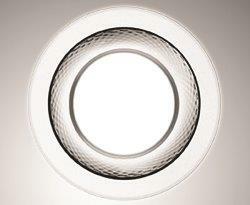 We are the exclusive distributors of PIERLITE product for the Kingdom of Bahrain. A commercial range of Pierlite Fluorescent Tubes, Batten Fittings, Ballast, Starters, Troffers, High Bays, Bulkheads, LED Fittings, etc. are available over 200 authorized electrical retail outlets all over in Bahrain. 6. BARTON ENGINEERING Cable Protection Systems Caparo Middle East, based in Jebel Ali, Dubai, distributes the premium quality Barton Engineering & Longmore range of Metallic Cable Protection Systems throughout the Middle East and neighbouring countries. Barton Engineering conduit tube is produced in one of UK’s largest automated factory under strict conditions controlled under an ISO 9001 Quality Management System. Conduit is rolled from carefully selected steel strip to speed up installation and manipulation without the risk of splitting or fracture. A comprehensive range of Barton Conduit Fittings and Accessories has been designed speciﬁcally for use with the 20mm, 25mm, 32mm, 1½” (38mm) and 2” (50mm) diameter Barton Rigid GI Steel Conduit Tube. The Barton Conduit Fittings and Accessories are manufactured from high quality malleable iron, steel and brass materials. A variety of ﬁnishes is available as standard including zinc plated and hot dipped galvanized, which provide the highest levels of resistance against corrosion. 7. 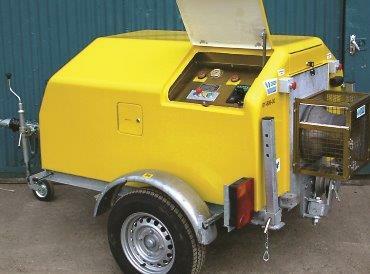 INDELEC’s (France) reputation in the ﬁeld of lightning protection dates back more than ﬁfty years. Leading world manufacturer of Early Streamer Emission air terminals with French Standard NFC 17-102, the INDELEC group of companies also provides a full range of lightning technical surveys or maintenance schemes. INDELEC has also built its own high voltage laboratory in the North of France to fulﬁl its R&D department requirements. INDELEC has always dedicated large investment on research, both on the lightning phenomenon and on the development of new lightning protection technologies. Five Prevectron2® models are available with the latest technical developments: central pickup rod and upper electrodes made of copper with chromium plating, new blue translucent cap including upper electrode insulation device and new blue coating of stainless steel lower electrodes. This latest version has been speciﬁcally developed to endure the most severe climatic conditions (humidity, heat). We are the exclusive agents for INDELEC LIGHTING SYSTEM products in the Kingdom of Bahrain, with a full technical team to help you design a lighting system team suits the custome’s needs. 8. THE LLEDO GROUP markets a broad range of more than 28,000 different products in the ﬁelds of luminaires, light control systems and metallic ceilings. 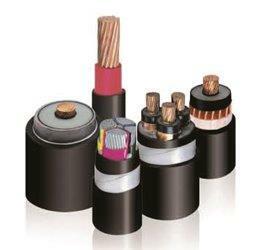 It is specialized in the supply of custom-manufactured products made to ﬁt our customers’ needs. 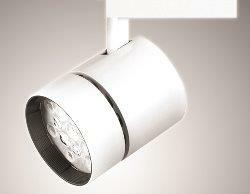 In addition to marketing products, it is a leader in lighting projects and custom solutions based on special products. 9. 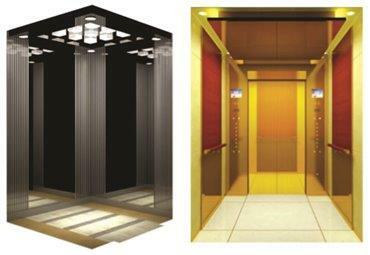 BLT ELEVATOR manufactured by Yuanda Enterprise Group, is a leader in the global elevator industry. 10. 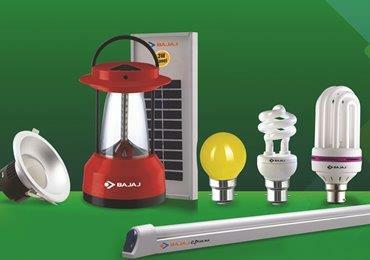 BAJAJ ELECTRICALS is one of the leading manufacturers of electrical and consumer products in India, has a wide range of general lighting service ﬁlament lamps, ﬂuorescent tube lights (FTL), compact ﬂuorescent lamps (CFL), miniature lamps and special purpose lamps, as well as consumer luminaries. 11. JDFF factory was established in 1998 in the Kingdom of Saudi Arabia for manufacturing Ductile Iron Fittings for water and wastewater projects. 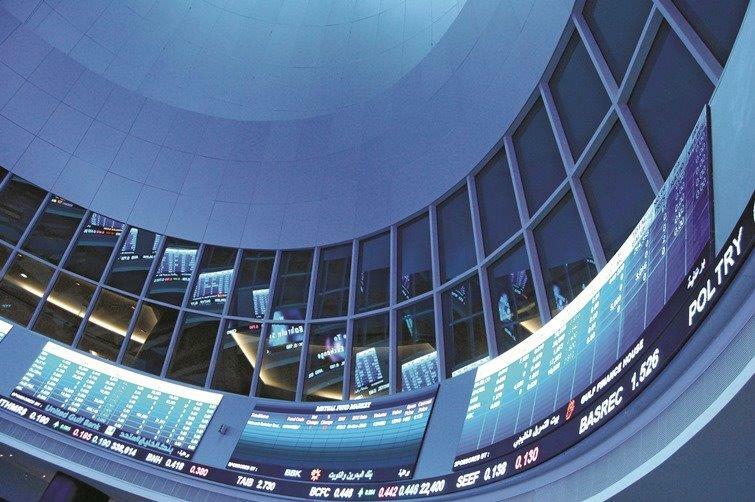 JDFF’s leading position in Saudi Arabia, which is a highly competitive environment, is maintained through its comprehensive, up - to - date and thorough knowledge of the market, coupled with its strategies in accordance with the changes of the market condition. Their associate company Jazea Polyethylene Pipes factory also manufactures a range of PE 63, PE 80 & PE 100 pipes for the water transmission sector. 12. A German manufacture of winches and allied products for the electrical transmission industry, the robust, tried and tested quality of BAGELA products stands for outstanding workmanship and durability, for enduring technology and performance. All BAGELA winches are manufactured to meet the stipulation of EC machinery directives and accident prevention regulations and all of them bear the CE mark. Very easy to operate in maintenance-friendly designs and built into modern, compact and soundproofed ABS plastic housing, BAGELA’s winches are used all around the world more often than any other winches. We partner BAGELA & Technical Hands, Dubai, to offer cable laying products and services in Bahrain. 13. 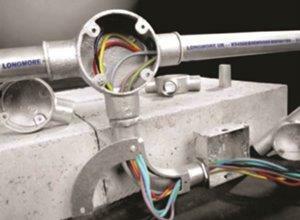 DRANETZ USA, the standard for energy & power measurement, has over 100,000 clients worldwide. Dranetz scalable solutions range from portable power quality analysis equipment to permanent energy management devices with data storage and web-based solutions. Dranetz provides a full suite of services, including personalized pre and post-sales support, educational power quality seminars, consulting, customization and on site assistance. Partnering with DRANETZ, we have become a leading provider of intelligent monitoring solutions for electrical demand and power quality in the energy sector. 14. EATON is a global technology leader in power management solutions that make electrical, hydraulic and mechanical power operate more efﬁciently, reliably, safely and sustainably. Eaton’s low voltage switchgear provides centralized control and protection of low voltage power equipment and circuits in industrial, commercial, and utility installations involving generators, motors, feeder circuits, transmission and distribution lines. We are the channel partners for Eaton for the Kingdom of Bahrain. 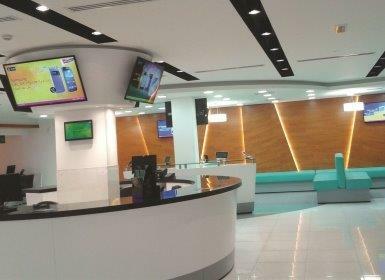 In its endeavor to widen its customer base, the division ventured into the retail space, positioning a range of electrical products in this space with brands like Bajaj, Kingston and Samsung. 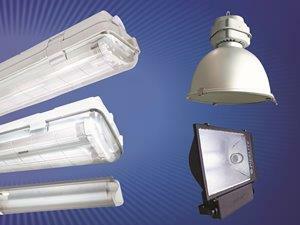 These products are available through a network of individual electrical retail shops. Additionally, the division is also setting up its own chain of electrical outlets as a means of providing direct access to its customers.